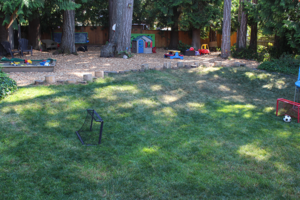 Langford Montessori is a half day (9am-2pm) Montessori Junior Kindergarten program for 3-5 year olds. A small class size (8 children), makes the program a great bridge between infant daycare and Kindergarten. 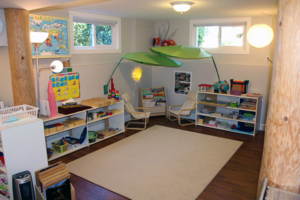 An organized environment and a variety of developmentally appropriate activities support each individual child’s needs. We make learning fun and effortless through all of our daily activities! Our program focuses on preparing for Kindergarten. We learn social responsibility and independence, as well as respect for ourselves, the environment and for others. The Children are introduced to phonetic reading, arithmetic, the decimal system, science, culture and geography as well as daily arts, crafts and music activities. In addition to our big forest-like back yard, we visit local parks, beaches and playgrounds as part of our outdoor physical education. We also participate in many educational field trips, and library visits. Once a week we work through an introduction to French program, and have music class with Ms Sibylle. Our calendar is full of fun days such as; Toy Day, PJ Day, Crazy Hair/Hat Day, Show and Tell, Dress Up Day, Baking Day, and so much more! We couldn't be happier with Langford Montessori and Miss Julie. Our daughter always comes home with a huge smile and endless stories about what she did at school. She has developed a passion for learning, valuable life skills (Yay for a 4 year old that properly folds laundry! ), and so much confidence in herself. I am impressed with the curriculum and diverse learning opportunities my daughter has had this past year at Langford Montessori. She loves coming to school and I recommend this program to everyone. After a very unsuccessful attempt at a larger daycare centre, we wearily registered our not-yet-three-year-old at Langford Montessori. Having only been previously cared for by family, she didn't do well with her corporate daycare experience, which lasted several months with tears and major separation anxiety at every drop off. A friend couldn't say enough good things about Ms. Julie so we decided to make the switch, and we now consider ourselves very lucky to have secured a spot. Competent, kind, caring and calm, Ms. Julie is all you could ask for in a caregiver. Our daughter took to her right away, which was an excellent sign as she rarely warms up to anyone immediately. She also earned our 100% trust on the first visit--and that's saying a lot for parents who don't leave their children in anyone but grandparents' care. Our daughter was drawn into the classroom by the fascinating work stations. In the morning she can hardly wait to get started and it's difficult to get her to leave. This school is exactly what she needed to stimulate her growing mind, body and spirit. I only wish we could clone Ms. Julie so that we could recommend her to more of our friends. We can't say enough good things about her and are looking forward to sending our baby boy there once he's old enough too! 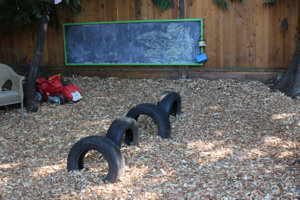 Langford Montessori was an essential step in preparation for elementary school. Because of Julie's unique approach using the Montessori curriculum, transitioning into kindergarten was easy and stress free for the whole family! 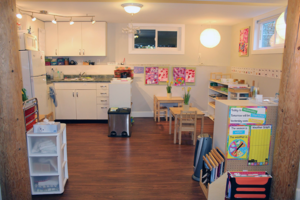 Julie's warm and welcoming environment provides a wonderful opportunity for structured learning and lots of fun! We are absolutely impressed with Langford Montessori, we wouldn’t have our daughter anywhere else. Ms. Julie runs an amazing program, full of creativity and ways to make learning fun. We have nothing but positive things to say about Langford Montessori and we appreciate the cleanliness and organization of the classroom. With the guidance of Ms. Julie, our daughter has become more independent, and also confident with herself. 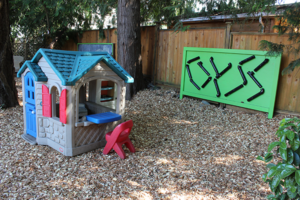 Langford Montessori has been such a positive experience for us. Open Google Calendar on a computer. Note: You can only import from a computer, not a phone or tablet. Click Import calendars between the “My calendars” and “Other Calendars” sections. Convert the ICS file using this website: https://icsconvert.appspot.com/ Simply drag and drop the file to convert it to a format that is viewable. 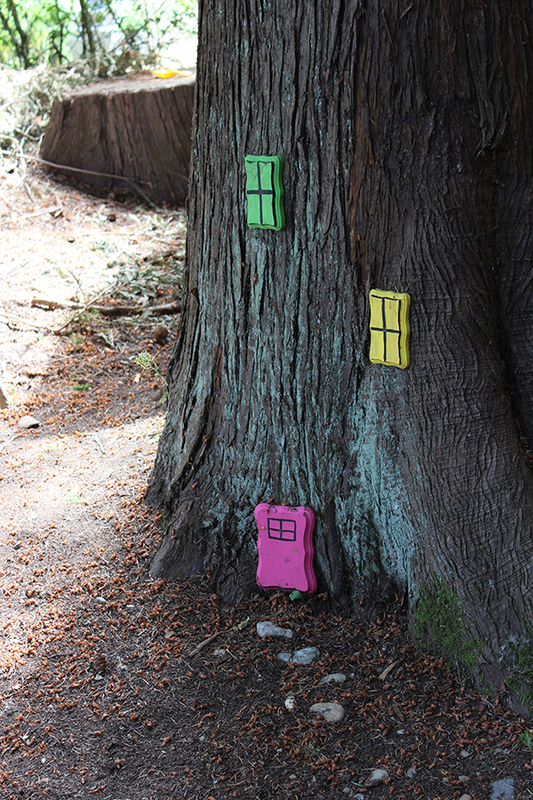 Copyright © 2019 Langford Montessori. Powered by WordPress. Theme: Spacious by ThemeGrill.